Housebuilders’ planning applications increased by 7% last year according to new construction industry research by Glenigan. 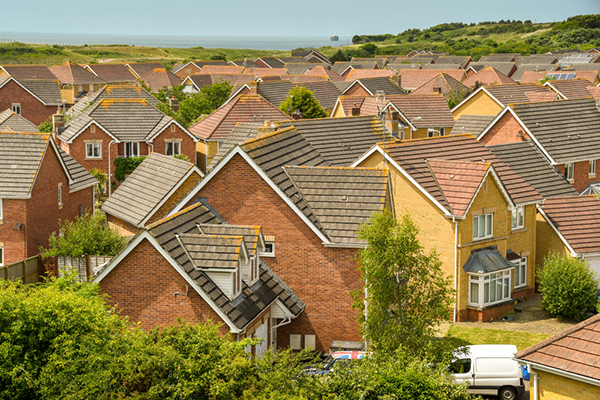 The study shows that detailed planning applications submitted by volume housebuilders and private residential developers in 2018 contained 178,421 units. This figure is up from 166,341 units in 2017 and a record total. With other research by Glenigan showing that registered social landlords applied to build 24,164 social units in 2018, the overall pipeline of homes proposed by private developers and RSLs has passed 200,000 for the first time since Glenigan’s construction analysis began. When Glenigan’s research into the number of units included in planning applications started in 2003, the planning pipeline for private homes comprised 119,005 units. The annual pipeline grew to 164,197 units in 2004 only to crumble as the recession took hold. That 2004 figure was only finally beaten in 2016 and successive totals have been new record highs. This may not translate into an immediate rise in private residential activity, but the results suggest that further out housebuilders and residential developers are still looking to increase activity. Glenigan’s economics director Allan Wilén explains: “A cooling UK housing market is forecast to hold back overall sector activity but Build to Rent is predicted to be a rapidly growing niche market. “The value of private housing projects starting on site fell by an estimated 11% last year as housebuilders prioritised building out existing developments and opened fewer new sites. Glenigan tracked a rise in all planning activity for all house-types in 2018. The biggest increase in planned new homes was for bungalows, which surged by 76%. This was from a small base and only just over 700 private new-build bungalows were proposed last year, which is just 0.6% of all planned new private units. Submissions for some form of house rose by 4.3%, and there was a resurgence in plans for apartments. The number of flats in planning applications leapt nearly 29% last year and this type of home comprised 12.9% of the total units proposed in 2018 – up from 11.4% in 2017. However, prior to the last crash 33.6% of proposed new homes were apartments and 61.8% were houses. This changed as the recession led to a serious over-hang of unsold flats in urban locations. The successive rise in planned new apartments by Glenigan suggests increased demand. Concerns also emerged last year about the impact of the ban on leases on new homes on the retirement sector, but planned units in this sector also increased by 6%. In 2018, plans were submitted for 3,225 retirement dwellings. Two thirds of these units were proposed by McCarthy & Stone and Churchill, which bears out Glenigan’s construction research published last year that showed the bulk of retirement homes were being built by these two companies. While concerns hang over the private residential sector in the short term, the fundamentals appear to remain strong further out.